A bit of inception going on this week. I went into the Tatty Devine shop on a whim while I was in London at the end of the summer holiday. 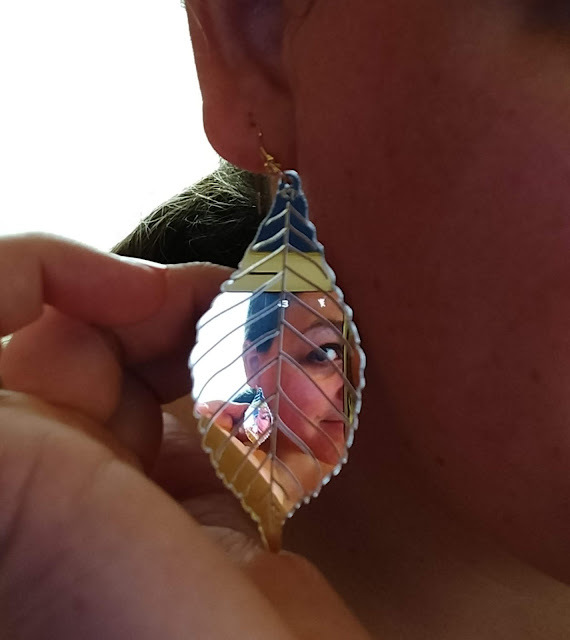 I came out with a rainbow starry necklace and these mirrored leaves, which are light gold in colour, though you can't see it well here. I am enamoured of them.